Frankie Chasing Bear is caught between cultures. She wants to raise her son Harold to revere his Lakota heritage, but she also thinks he will need to learn the white man's ways to succeed. After the untimely death of her husband, Frankie joins the U.S. Government's Relocation Program and moves to Arizona. There she begins sewing a Lakota Star pattern quilt for Harold with tribal wisdom sung, sewn, and prayed into it. A bed without a quilt is like a sky without stars, but neither the quilt nor her new life comes easily to Frankie. Nick Vandergriff, for instance, is the last man Frankie wants to trust. He's half-Lakota but Christian, and Frankie can see no good coming from that faith after her own parents were forced to convert at an Indian school. Can Nick convince Frankie that white men and Christians aren't all bad? 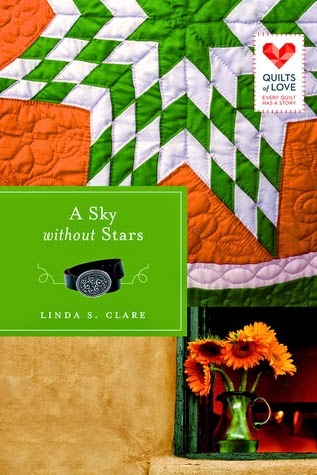 And will Frankie learn that love is the most important ingredient for her son's quilt and life itself? This book is set in the 1950's, when assimilation was still going on and racism was common. I found the perspective and struggles of Frankie Chasing Bear fascinating (especially since my husband and I are in the process of adopting our baby daughter who has Native American heritage and will be a registered tribe member). Frankie's generation was caught in the middle of transitioning between two worlds and cultures, wanting the best of both for her son. Since Nick is half-Lakota, he understands the feeling of not completely belonging or being accepted in either culture, but helps Frankie realize that what is most important is belonging to God and being accepted by Him.